Teach for Afghanistan relies heavily on the generosity of people like you to help provide a low cost education for children who live in abject poverty in Afghanistan, many families we serve struggle to feed their children and are not in a position to pay the fees required to attend public schools. Therefore, our primary vehicle for providing a low cost education is the teacher sponsorship program. We believe sponsoring a teacher is the most important and effective way of keeping poverty stricken children in school for two reasons. First, it enables parents who do not have the means to obtain an education for their children to do so. Secondly, instead of trying to find individual sponsors for 1000 children, all we need to do is to fund the salaries of 10 teachers. These teachers will in turn address the educational, mental, physical and spiritual needs of the children. It might be encouraging for you to know that the parents of these children are not left out in the development process of their own children. They just need a hand up and not a hand out from you. The parents have the responsibility for the provision of uniforms, shoes, books and other school supplies. All we are kindly asking of you is to help take care of the financial challenge they are unable to meet at this present moment. When you sponsor a teacher today, you will be making a significant difference in the lives of people whom you may never meet. We see this as a true testimony of faith as you are reaching out to your global neighbors to reflect the light of humanity by showing love and support for Teachers in Afghanistan. Through your generosity, we are improving the lives of over 1,000 students, 10 teachers and staff members in our various schools across the country. 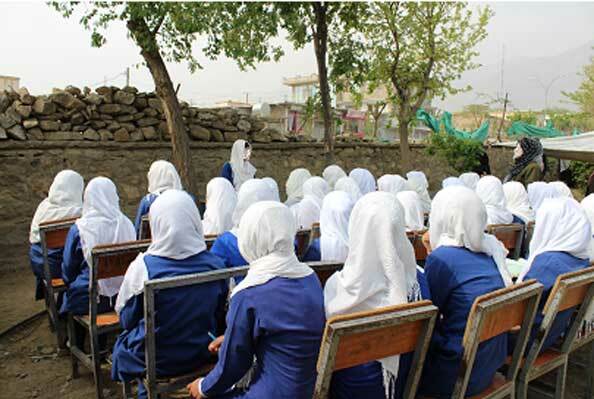 The Ministry of Education Department of Human Resources published a teacher pay scale based on teaching qualifications for public schools in Afghanistan.